Krista Tesreau Returns To "Guiding Light"
Krista Tesreau returns to "Guiding Light." 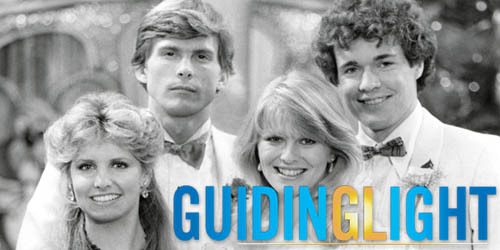 The four Musketeers are reuniting on "Guiding Light!" Simply not content with Grant Aleksander’s return as Phillip on February 9; GL is bringing back yet another fan favorite! Soap Opera Digest is reporting that Krista Tesreau will return as Mindy Lewis sometime in March. Back in the 80’s, Mindy, Phillip, Rick (Michael O’Leary) and Beth (then Judi Evans, now Beth Chamberlain) were one of the most popular groups in daytime (see below for a picture). Tesreau originated the role of Mindy in 1983, vacating the role in 1989. The actress has returned occasionally since her exit (though other actresses have held the role). The four musketeers went through storylines of first love, pregnancy, friendship and continuing on to more adult stories of marriage, career choices and abusive storylines. Mindy and the other Musketeers formed a close friendship, often dating one another and even running away to New York together. Tesreau’s Mindy is best known for her plotting to land Phillip, her jealousy over Beth and her relationships with Kyle Sampson and Kurt Corday. Mindy also broke out into the corporate world by working with her father, Billy Lewis at Lewis Oil. Though "Guiding Light" was Tesreau’s first foray into daytime, it certainly was not her last. The actress went on to join the cast of "Santa Barbara" as Andie Klein in 1992. In 1994, she landed the coveted role of Tina Lord Roberts on ABC’s "One Life to Live." During her tenure in Llanview, Tina became involved with Cain Rogan and David Vickers. Tesreau has also appeared on "Silk Stalkings," "Ringmaster" and "Laws of Deception." Fiona Hutchinson returns for a brief visit as the deceased Jenna Bradshaw Cooper. She will appear to her husband Buzz and her injured son Coop on Tuesday, February 17. It’s nice to see "Guiding Light" making an effort to bring back fan favorites.